Peanut Butter Banana Brownies are a delicious and moist chocolate brownie perfect for peanut butter lovers. 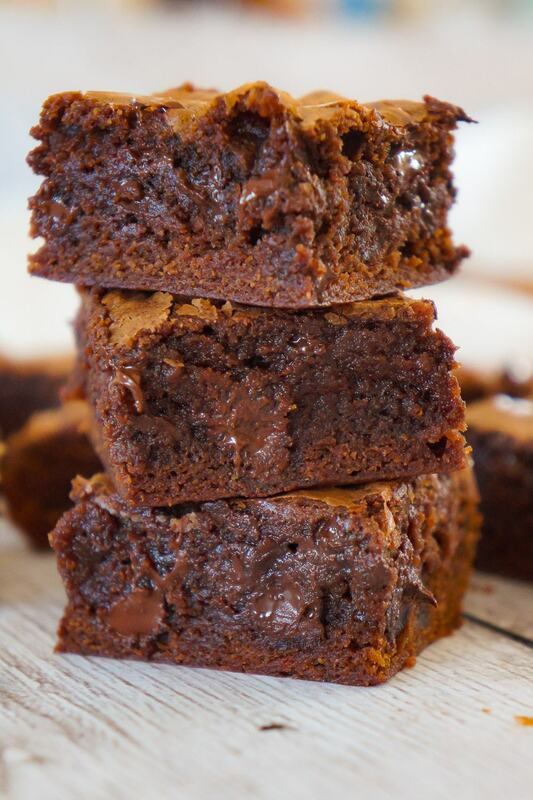 This easy brownie recipe uses boxed brownie mix to save on time. If you have some over ripe bananas to use up and feel like making something a little more decadent than banana bread then these banana brownies are the treat for you. To make these peanut butter brownies I started by combining boxed brownie mix with some very ripe bananas, peanut butter, eggs and oil. I used an electric mixer to combine the ingredients even though I wouldn’t usually use one when making brownies. I used the mixer to make sure that the bananas got broken up and fully combined into the batter. Once the batter was nice and smooth I poured it into a greased 9 x 13 inch cake pan. I greased my cake pan with Pam Spray For Baking . I spread the batter out evenly in the pan and then sprinkled some milk chocolate and peanut butter chipits on top. Then I baked the brownies until a toothpick inserted in the center came up with just a few small crumbs. I allowed the brownies to cool slightly before slicing and serving them. 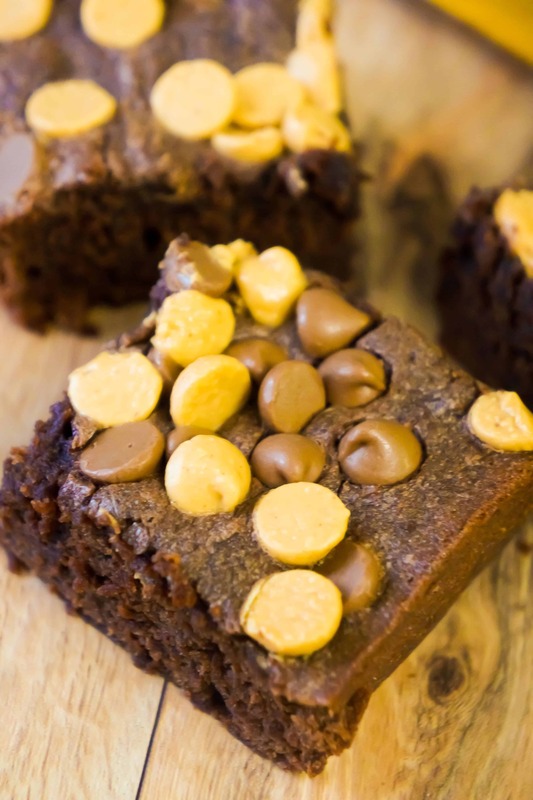 These moist brownies have the perfect balance of banana and peanut butter flavour. The peanut butter and chocolate chips on top add extra richness to the brownies. 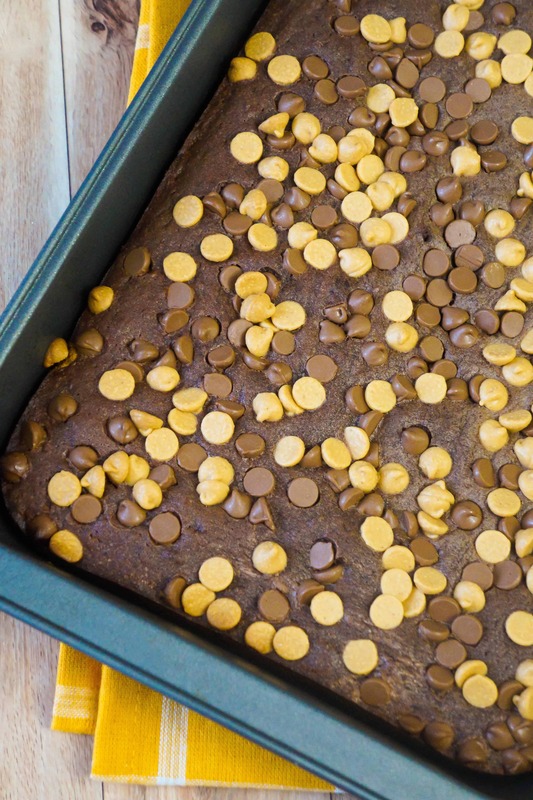 Try these Peanut Butter Banana Brownies for a fun change from banana bread. 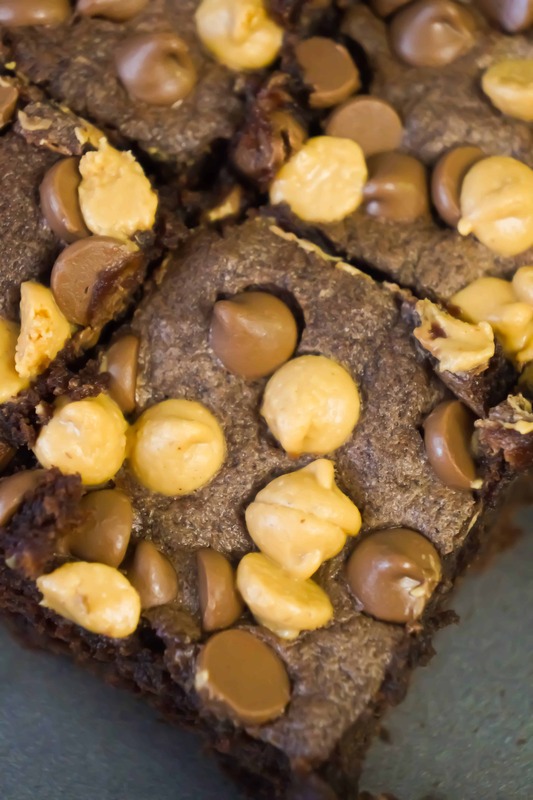 Another peanut butter brownie recipe! 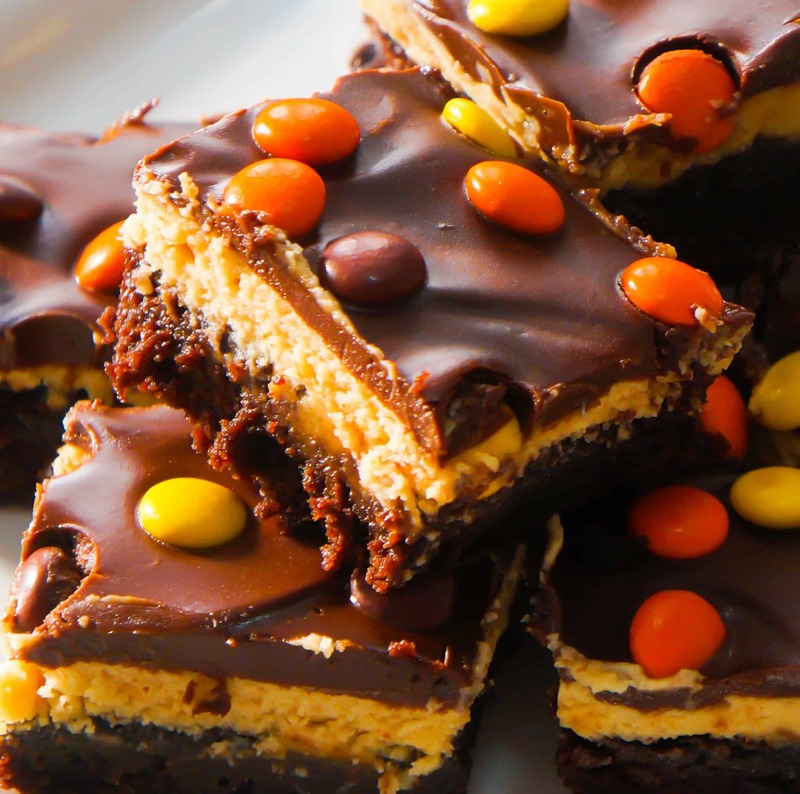 Check out these Reese’s Pieces Cream Cheese Brownies. If you are looking for more easy dessert recipes check out Chocolate Chip Cookie Dough Pie, Caramel Chocolate Cream Cheese Stuffed Cookies, No Bake Red Velvet Pie, Cookies and Cream Red Velvet Cookie Bars, Cherry Chocolate Chip Shortbread Cookie Bars and Caramel Golden Oreo Brownies. Another delicious brownie recipe. Check out these Homemade Brownies from Scratch! Be sure to also check out these Reese’s Peanut Butter Cream Cheese Brownies! Another easy banana recipe. 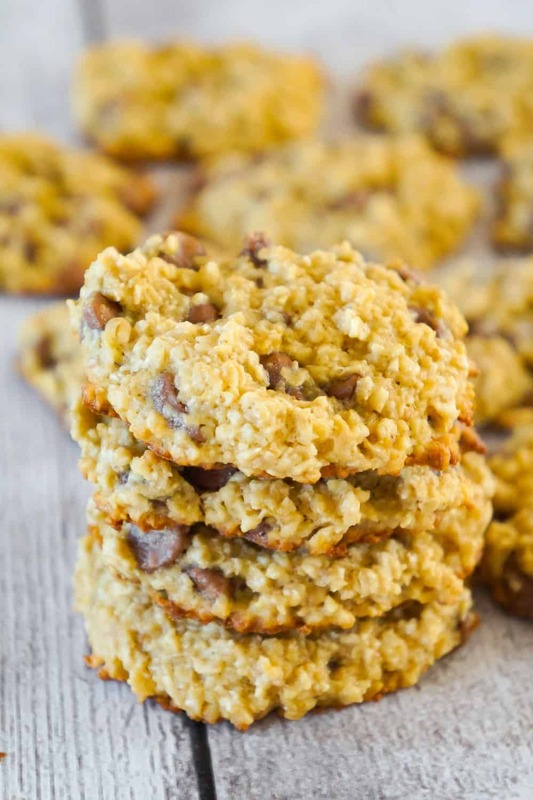 Check out these Banana Oatmeal Cookies! Peanut Butter Banana Brownies are an easy chocolate peanut butter dessert recipe. 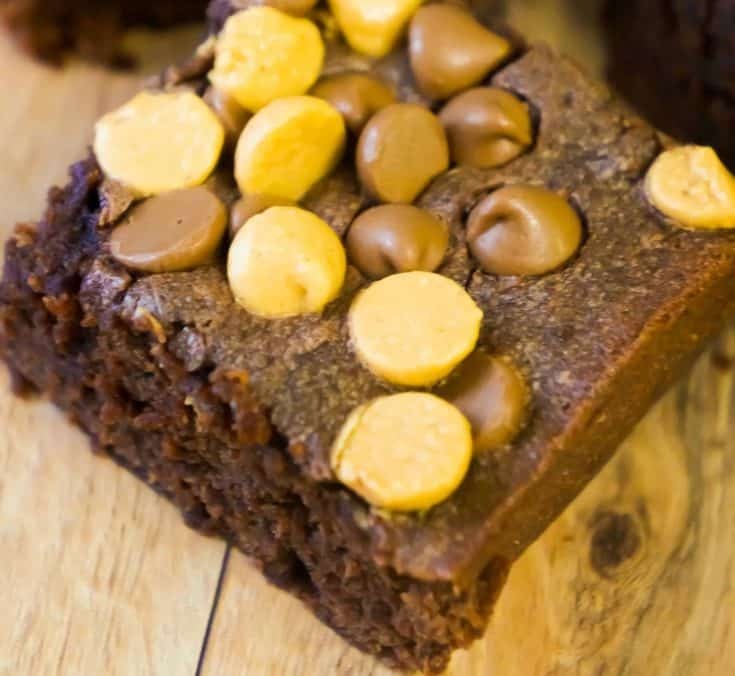 These peanut butter brownies loaded with peanut butter and chocolate chips are a fun change from classic banana bread. In a large mixing bowl combine brownie mix, bananas, eggs, peanut butter and oil using electric mixer. Mix until batter is smooth. Pour brownie batter into a greased 9 x 13 inch cake pan and spread out evenly. Sprinkle the chocolate and peanut butter chips over the batter. Bake brownies for 30-32 minutes until toothpick inserted in the center comes up with just a few small crumbs. Allow brownies to cool slightly before slicing and serving.